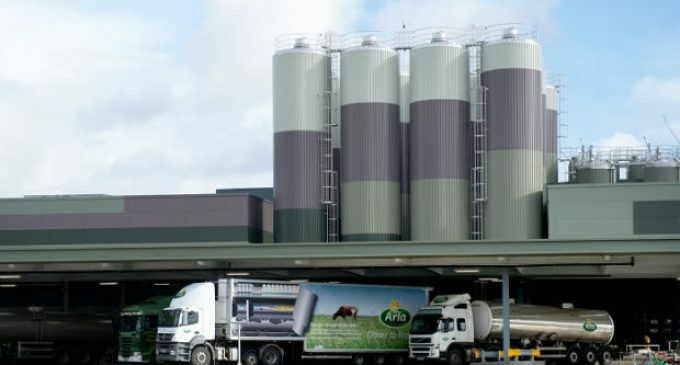 At a time when dairy companies have struggled with the continued European oversupply of milk, Arla Foods has strengthened the quality and profitability of its business. Arla’s strategic branded sales grew 6.1 per cent in the first half of 2016, although decreasing market prices in Europe negatively affected group revenue, which amounted to Eur4.9 billion – a decrease of 5.3 per cent compared to the first half of 2015. Increasing milk volumes across Europe generated downward pressure on market prices in the first half of 2016, and global milk prices reached the lowest level for many years. However, the outlook for the second half of 2016 is positive, and Arla maintains its full-year expectations regarding profit and expects improvements in its milk price to farmers. Arla’s total milk volume in the first half of 2016 increased 1.9 per cent to 7.2 billion kg. 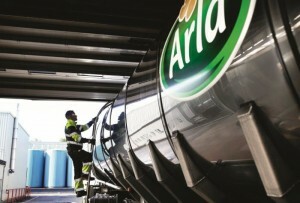 Despite taking in more milk, Arla managed to move the extra milk into the most profitable sales channels, retail and foodservice, delivering on its commitments both to process all the milk that its farmer-owners supply and to innovate to maximize the price the company can pay to the farmers. “In a very difficult market environment, we have continued to improve the quality of our business by relentlessly pursuing our strategic direction. 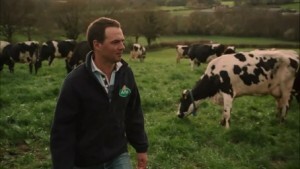 Our dairies have effectively processed 119 million kg extra milk from our owners and our commercial teams in all markets have proactively ensured that this extra volume has been sold into retail and foodservice channels, avoiding it being used for the production of less profitable commodity products. 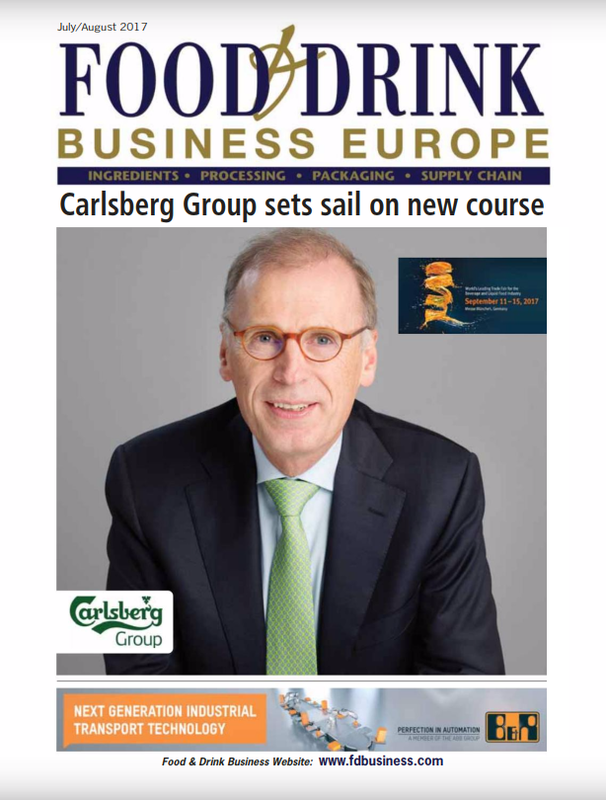 This is crucial at a time when Arla and our farmer-owners continue to be challenged by the global market decline,” says Peder Tuborgh, chief executive of Arla Foods. In the first half of 2016, Arla’s strategic branded volume-driven revenue growth was 6.1 per cent compared to 3.1 per cent in the corresponding period last year. This was double the pace of growth of private-label products. Arla’s strategic branded volume-driven revenue growth was generated by the Arla® brand (up 5.0 per cent), Lurpak® (up 7.6 per cent) and supported brands like Puck® (up 10.2 per cent), while Castello® experienced a minor reduction in the first half of the year (down 0.7 per cent). 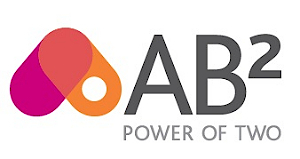 “Our brands are growing according to plan despite tough market conditions. Our international business has contributed significantly to this development, primarily due to increased sales in Sub-Saharan Africa, China and Southeast Asia. In Europe, where some markets are dominated by private-label products, our branded business has continued to grow despite tough market conditions. 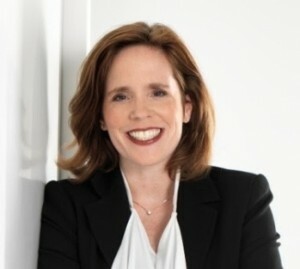 The performance of our strategic brands is crucial, even at a time when global prices have driven down our overall revenue, because it strengthens the quality of our revenue through improved market positions and increased profitability in line with our strategy, Good Growth 2020,” comments Natalie Knight, chief finance officer at Arla Foods. Arla’s profit for the first half year amounted to Eur124 million corresponding to a profit share of 2.5 per cent of revenue (excluding gain from sale of entities), compared to 2.3 per cent in the same period last year. To support Arla’s overall cost reduction ambition, the company’s Good Growth 2020 strategy includes an ambitious cost improvement target of Eur400 million, to be reached by the end of 2019. The efficiency programme was kicked off at the beginning of 2016, and the first Eur100 million of savings are on track to be delivered by the end of this year. In the first half of 2016, Arla also restructured the organisation and made 500 white collar employees redundant in order to drive a more common agenda in Arla across functions and zones, which is strengthening collaboration, synergies and efficiency in markets. Arla expects to see the first cost improvements take effect during the second half of 2016 and achieve annual savings of approx. Eur35 million in 2017 and onwards. The difficulties of the current global dairy market are reflected in Arla’s performance price of Eur-cent 30.0 per kg in the first half of 2016. “The challenging market situation affected our ability to safeguard the milk price for our farmer-owners, who have suffered the consequences of the oversupply of milk in Europe. Despite these difficult market conditions, we continue to outperform our international peer group. We anticipate to be at the high end of the range of our expectations of 103 to 105 versus our peer group index for the full year,” says Natalie Knight. “The severe downturn in the market over the last two and a half years has been an eye opener. To me, the difficult market situation makes the strength of being an international dairy cooperative even more obvious. We do not have to stake all our milk in one single market or a narrow product portfolio. In a difficult market, we have paid a milk price above our peers. I am confident that our strategy will continue to deliver positive results for Arla’s owners in the years to come,” says chairman of Arla Foods, Åke Hantoft. In May 2016, Arla concluded an agreement to divest its juice subsidiary Rynkeby Foods with annual revenue of Eur130 million and 200 employees. Rynkeby represented the last non-core business unit within Arla, thus giving Arla singular focus on the dairy sector. The activities in Rynkeby were deconsolidated with effect from May 2016 and while the sales price is not disclosed, the divestment resulted in a gain of Eur120 million. This gain is not included in the profit figure for the first half of the year from ordinary activities. Arla expects revenue for the full year to be within the range Eur9.5–9.8 billion and the profit share to be within the target range of 2.8–3.2per cent of revenue by year-end. Milk volumes are flattening in Europe and as a result market prices are levelling out. A more stable market situation is expected in the second half of 2016. “Looking at the second half of 2016, we see a positive trend taking hold as the milk production is declining again in Europe and prices are starting to go up. This will be a much welcomed development for Arla and for our farmer-owners. We have already announced our first increase in the on-account milk price to our farmers with effect from September, and we do expect an improving market situation as we move towards the end of the year. Our success in the second half of 2016 is reliant on our ability to continue to deliver our Good Growth 2020 strategy, and thereby improve the milk price to our hard-pressed farmers,” says Peder Tuborgh. Arla expects to announce its full-year results for 2016 on February 22nd 2017.